A Retail Electric Provider is a company that acquires its electricity supplies from the wholesale market and sells it retail to homes and businesses. Wholesale energy supply sources include much of the same source that the utility will use, such as electricity generators or the open market. A Retail Electric Provider is not your local utility. The utility still operates the local distribution wires which carry electricity through its territory and to homes or businesses. Retail Electric Providers purchase and supply power, which the local utility delivers to your home. What is a Transmission and Distribution Service Provider (TDSP)? Also known as a utility company, the TDSP transmits and delivers the electricity to your homes or business for its service area along the poles and wires, but does not sell electric utilities. This company is responsible for maintenance and repair of these poles and wires as regulated by the Public Utility Commission of Texas (PUCT). The TDSP also reads the meters for your area and delivers those meter readings to the Retail Electric Provider (REP) of your choice. 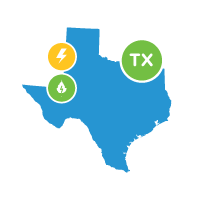 XOOM Energy supplies electricity throughout the following TDSPs in Texas including AEP Texas Central and North, Oncor, CenterPoint and Texas-New Mexico territories to its electricity customers. What utilities does XOOM Energy service in Texas? Currently, XOOM Energy Texas, LLC supplies electricity in: AEP Texas Central (CPL) and North (WTU), Oncor, CenterPoint and Texas-New Mexico Power (TNMP) territories. No. You are never at risk for service disruptions for switching to XOOM Energy. In fact, you will see no difference in the service you are receiving. The only change will be in your billing. You will begin to receive your bill from XOOM Energy. Do I need to cancel my current service before signing up with XOOM Energy? No. When switching your service to XOOM Energy, there is no need to contact your existing supplier to cancel your service. XOOM Energy will handle all the steps necessary to become your supplier with no interruption in service. A fixed rate plan provides you with stability and peace of mind. A fixed rate product may be higher or lower than utility rates, but, unlike utility rates, a fixed rate product will not change during the life of your contract. You are protected against unexpected and costly price increases and have greater control over the cost of your electricity. A variable rate plan allows you to purchase electricity at market-based prices that change from month to month. While a variable rate is subject to monthly price increases or decreases, it may help you realize the lowest possible cost in the market. However, it also exposes you to potential price increases, and, unlike a fixed rate, a variable rate does not protect you against price volatility. Variable Rate Plans may be higher or lower than the utility rate. Want to see historical XOOM Energy Variable Rates? 1) Click for XOOM Energy's residential variable historical rates. 2) Click For business variable historical rates. 3) Click for XOOM Energy's Pre-Pay historical rates. For XOOM Energy to offer and fulfill its term obligation to you, we have to purchase electricity in advance of usage to cover the entire length of your contract. If you cancel your contract early, XOOM Energy needs to offset the cost of selling the unused portion of your electricity to others. The cost recovery fee covers this cost and any other expenses we incur because of your cancellation. Is there a cost to switch my electricity service to XOOM Energy? It depends on which kind of move you’re doing. For a standard switch, there’s no charge. If you want to select a specific date for your switch or move-in, then a fee will apply. These fees vary by on where you live. If you want to switch electricity providers at your current address and aren’t picky about exactly which date your power is turned over, you want the standard switch. With a standard switch, you’ll be changed to XOOM Energy within 7 business days. Plus, there’s no charge for this service! XOOM Energy gives you the option to pick the exact date your switch should take place. There is a charge for self-selected switches which varies by where you live. If you want electricity service, and you have never had it at the address where you’d like to start your service, it qualifies as a Move-in. There is a charge for Move-ins, which varies by where you live. What is a Priority Move-in? If you want electricity service quickly, and the address where you’d like to start service is new to XOOM Energy, XOOM Energy gives you the option to pick the current day if it is before 3 pm EST or after 3 pm EST the following business day for your switch to take place. There is a charge for priority move-in switches which varies by where you live. Priority Move-in: Your choice - Same day if before 3 pm EST or next business day, if after 3 pm EST, next business day. Don't forget, some of these types of switches and Move- Ins do involve fees. You will receive your bill from XOOM Energy. XOOM Energy electricity supply charges will appear along with your utility service and delivery charges. You will make one payment to XOOM Energy. Click here to review a list of terms that may appear on your bill. Residential customers who enrolled on or after 5/4/16 will receive an unbundled bill,meaning the rate on their bill is only for the commodity cost. TDSP delivery charges from the utility will appear separately on the bill. State and local sales taxes, as well as XOOM’s monthly base charge will also appear separately on the bill. Residential customers who enrolled before 5/4/16 will receive a bundled bill, meaning the rate they see on their bill includes all commodity and delivery charges. State and local sales taxes, as well as XOOM’s monthly base charge will appear separately on the bill. Business customers will receive an unbundled bill, meaning the rate on their bill is only for the commodity cost. TDSP delivery charges from the utility will appear separately on the bill. State and local sales taxes, as well as XOOM’s monthly base charge will also appear separately on the bill. Does XOOM Energy offer balanced billing? If you wish to switch to a balanced billing program, please contact XOOM Energy Customer Care at 888.997.8979. Your ESI ID (Electric Service Identifier) is a unique number your local electric utility uses to identify a particular residence or business. If you have more than one address on your account, you will have multiple ESI IDs– one for each address. Your meter number and your ESI ID are two different things; your meter number identifies the particular meter at your home or business, and you could end up with a new meter number if a meter is or was replaced. 65 or Older – If the customer or applicant is 65 years of age or older and the client is not currently delinquent in payment of any electric service account. Victim of Family Violence – If the customer is a victim of family violence as defined in the Texas Family Code §71.002. This determination shall be evidenced by submission of a certification letter from the Texas Council of Family Violence. The certification letter may be submitted directly to XOOM Energy by use of a toll-free number. No Outstanding Balance – If the customer can provide the last three (3) consecutive months of electricity bills that have been paid on time and in full. You can also split your deposit into two equal installments. Customers who are eligible for low-income discount programs may pay deposits in excess of $50.00 in two equal installments. The first installment must be paid within 10 days after written notice of the deposit requirement is issued, and the second installment must be paid within 30 days after the first deposit is paid. Once you complete the enrollment process online, you will receive a confirmation e-mail containing your confirmation number, the summary of your order, terms and conditions and other information detailing your service with XOOM Energy. How do I become certified as a Critical Care and/or Chronic Care Customer? Please click on the link Critical Care Package, print the document and follow the directions on Page 1. A Switch Hold can be placed on a premise by either a Retail Energy Provider (REP) (with customer’s consent) for an outstanding bill or by the Transmission and Distribution Service Provider (TDSP, or utility company) due to meter tampering. The purpose of a Switch Hold is to ensure that the occupant responsible for paying the bills at that location takes care of any/all outstanding charges before switching to a new REP. The Switch Hold remains in effect until payment of the specified charges. If your local transmission and distribution service provider (TDSP) has determined that electric meter tampering or theft of electric service has occurred at the premise. The current electric customer of record will be notified, usually via door hanger, that a switch hold has been placed by the TDSP. If you entered into a deferred payment plan with your retail electric provider (REP) and part of the agreement was to have a switch hold placed on the electric meter until the terms of the deferred payment plan have been satisfied. The REP is required to notify you that a switch hold will be applied before you agree to the terms of the deferred payment plan. You may send us this information by email (customercare@xoomenergy.com) or fax: (866-478-2830). XOOM Energy will forward this information to the Transmission and Distribution Utility requesting to remove the Switch Hold, so your Move-In request can be processed. This information will also be made available to the current retail electric provider for the premise, who will have an opportunity to submit additional information to the TDSP to aid in their determination that this is a legitimate new move-in by an occupant not associated with the preceding tenant. This process may result in a delay in processing your move-in request of up to 1 to 2 business days from the time we receive your documentation. We apologize for the inconvenience. Pre-Pay is an energy plan that allows you to pay for electricity as you use it. It requires no deposit and no long-term agreement. You pay for your electricity as you go and will receive usage updates via text messages and emails. Does XOOM Energy Texas, LLC still offer the LITE UP program to customers? As of September 1st, 2016, officially, there will be no required discounts, waivers or customer service items required by the State of Texas for customers that were formally listed as LITE-UP Texas Eligible. However, beginning September 1st, 2017 XOOM Energy Texas, LLC will continue to provide the same benefits to these former LITE-UP Texas customers, as they have received for the past year. The benefits that we will provide to these customers will include the following: the ability to pay a deposit in two equal installments and a waiver for late fees as long as the customer remains a State of Texas designated LITE-UP Texas eligible customer. To be eligible to match, you must be in the supplemental nutrition assistance program (SNAP) or on Medicaid and the name of the program participant MUST be the same name on the electric bill. Self-enrollment is NOT allowed for the electric matching program. Unbundled means the rate includes all commodity charges but excludes state and local taxes, XOOM Energy's monthly base charges, and any charges that pass through your TDSP. Unbundled products are only offered in the following markets: AEP Central Company, AEP North Company, CenterPoint Energy, Oncor Electric Delivery and Texas New Mexico Power. What is the Comprehensive Energy Assistance Program? The Comprehensive Energy Assistance Program (CEAP) is a utility assistance program. CEAP is designed to assist low income households in meeting their immediate energy needs and to encourage consumers to control energy costs for years to come through energy education. To see if you qualify please contact your local CEAP administrator. You can find the contact information by county here. 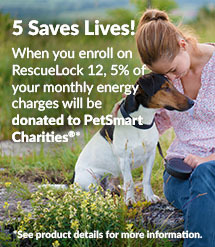 Get the peace of mind you deserve with our RescueLock 12 Unbundled fixed rate plan! Rate above includes all commodity charges. Rate excludes state and local sales taxes and XOOM's monthly base charges and any charges that pass through your TDSP. Request a copy of the Terms of Service be sent to you via U.S. Mail: Contact Customer Care at 888.997.8979 or contact us online. NOTE: The EFL (Electricity Facts Label) reflects average price per kWh and includes commodity and delivery charges, and a monthly base charge of $4.99. Actual price per kWh varies according to usage. *This Promotional Offer is only available to new customers who have not been a XOOM Energy customer in the past 6 months and is intended for general use customers. The Introductory Offer is intended for customers on standard tariff rates and accounts on special utility tariffs rate such as street lighting, space heating rate or hourly pricing rate schedules are not eligible for this promotion. Your rate will be applied during your first 4 bill cycle(s). XOOM Energy may end this promotion at any time without notice. This rate may change in the subsequent months at the sole discretion of XOOM Energy. With our variable rate SimpleFlex Unbundled plan, get the flexibility you want! With our fixed rate SimpleClean 12 Unbundled Plan, lock in your renewable energy rate for 12 full months, guaranteed! This plan offers electricity price stability for the duration of your term, regardless of market conditions. With SimpleClean 12 Unbundled, you protect yourself from the uncertainty that comes with energy bills. Please note a deposit may be required. One year service agreement required. Rate above includes all commodity charges. Rate excludes state and local sales taxes and XOOM's monthly base charges and any charges that pass through your TDSP. If you cancel your service before the contract ends, a cost recovery fee of $225 may apply. If you are currently under a contract with another provider understand your obligations and rights before switching. Only the account holder or persons legally authorized on the account may enroll. Please note the base charge will be applied to each ESI ID on your account. Get the peace of mind you deserve with our SureLock 12 Unbundled fixed rate plan! Take the uncertainty out of your energy bills with our SureLock 24 Unbundled fixed rate plan! Please note a deposit may be required. Two year service agreement required. Rate above includes all commodity charges. Rate excludes state and local sales taxes and XOOM's monthly base charges and any charges that pass through your TDSP. If you cancel your service before the contract ends, a cost recovery fee of $350 may apply. If you are currently under a contract with another provider understand your obligations and rights before switching. Only the account holder or persons legally authorized on the account may enroll. Please note the base charge will be applied to each ESI ID on your account. 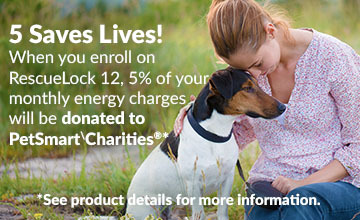 Take the uncertainty out of your energy bills with our SureLock 36 Unbundled fixed rate plan! With our variable rate SimpleFlex Pre-Pay plan, get the flexibility you want! Rate above applies to all kWhs used and includes all commodity and delivery charges. Please note a deposit is not required. The initial enrollment cost is $75. Of that sum $70 will be directly applied to your account and $5 will go towards the enrollment fee. Rate above includes all commodity and delivery charges. Other taxes and fees may apply. Only the account holder or persons legally authorized on the account may enroll. 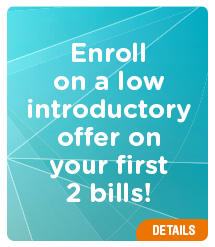 You must also have a working cell phone and a valid email address to enroll for Pre-Pay. If you are currently under a contract with a retail supplier, understand your obligations and rights before switching. Request a copy of the Terms of Service be sent to you via U.S. Mail: Contact Customer Care at 888-387-0932 or contact us online. When switching your service to XOOM, there is no need to contact your existing supplier to cancel your service. XOOM will handle all the steps necessary to become your supplier with no interruption in service. To keep their energy costs at an even keel, Texas residents should examine all of the options available through regional retail energy providers. High energy usage makes it even more important to compare Texas energy rates. Choose the rate and plan that brings out the winner in you by comparing price and options.